Google “lose weight” or “natural health supplements” and you’re likely to come across a slew of odd advice ranging from cleanses to natural beauty products to diet tips from bloggers not licensed to give it. But even so, the general population takes the advice and runs with it. We’ve already talked about what foods are the best and worst foods for your teeth and that your oral health depends on factors other than just dental hygiene. So what are the effects of popular health trends on your teeth and overall oral health? Keep reading to find out. Natural health experts recommend drinking apple cider vinegar (known affectionately as ACV to its believers) to cure the body of most ailments. From claiming to give you healthy, glowing skin, to curing bloating, aiding in weight loss and boosting your immune system—ACV has been said to have a lot of positives. One negative that is failed to mention is the acidity of ACV. Apple cider vinegar is made from apple juice that’s fermented twice, which transforms it from juice to vinegar. When transformed, ACV is a mix of probiotic, helpful bacteria and enzymes—all which health enthusiasts love. But what about the harmful acidity and your teeth? ACV has a pHlevel of 3.075, which is on the very high end of the acidity scale. Enthusiasts claim rinsing with water will rid your teeth of the harmful acidity, but dentists have found that it won’t prevent damage to enamel. Tooth enamel is then left in a weakened state after one drinks ACV and can actually be made worse if you brush your teeth immediately after, so it’s best to avoid ACV or use it for purposes other than ingestion. Sounds strange, but this trend emerged last year and still has popularity in the beauty and cosmetic community. Activated charcoal, which is a black mixture derived from it’s namesake, promises to whiten teeth the natural way. Users are supposed to brush with the mixture for 3-5 minutes. With a promise of absorbing toxins, bacteria, and stains from teeth, brushing your teeth with this black mixture to get a sparkling smile has its downfalls. Dentists say this method can lead to enamel deterioration and tooth decay and erosion. Teeth are one of the only parts of the body that are unable to heal themselves, which means scrubbing too hard with things like the abrasive charcoal mixture can wear away enamel that you’ll never get back. And losing enamel means more sensitive and discolored teeth—the exact opposite effect users are trying to achieve. Stick to FDA-approved at-home teeth whitening methods or visit your dentist for the safest way to whiten. Harsh dieting in itself can be harmful to your teeth, but juice cleanses take the cake, so to speak. 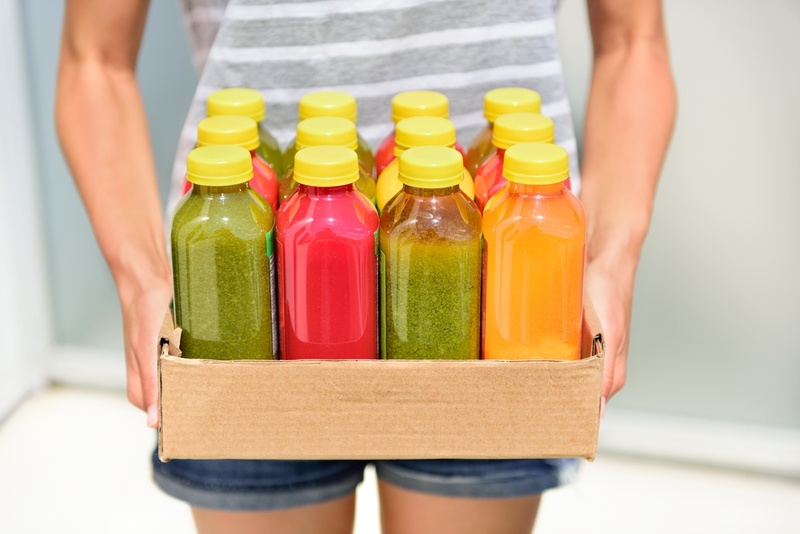 Juice cleanses are considered “detox” diets that last for a few days (or more). Fans of juice cleanses claim they improve their health, mood, and appearance, however many scientists and dietitians disagree, citing cleansing as a waste of time. Healthcare professionals have found that juice cleanses spike insulin levels, which changes the way collagen is produced and retained in your body. The amount of collagen in your body, in turn, affects your gums and weakens the overall structure of the gums. Juice cleanses are also high in acidity, which again leads to tooth sensitivity and decreased enamel. Try drinking these drinks from a straw, brushing your teeth immediately after consumption and limiting your detox period to just a couple days. Remember, your oral health is just as important as the rest of your body. Take care of your teeth (they’re the only one’s you’ve got!) and they’ll take care of you for years to come. 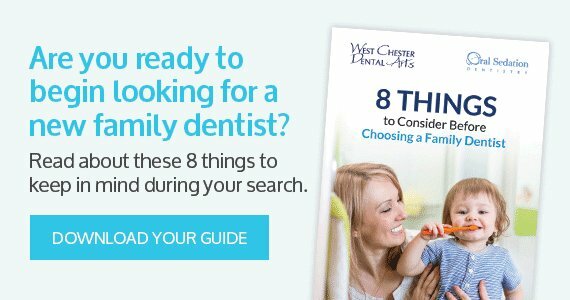 Schedule a check-up with the team at West Chester Dental Arts to ensure your teeth are in good shape!